GolfSmash - Join the GolfSmash Online Tee Time Booking Platform. Nothing short of groundbreaking – it’s lighter, hotter (of course), and more robust than ever. So we can increase ball speeds across the face in a Total Performance Driver. You probably hit it dead center every time. But even if you don’t, we have you covered. We’ve put our new continuous Adjustable Perimeter Weighting slide toward the rear of the club. 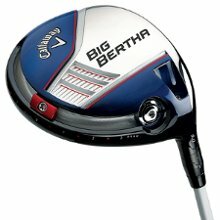 That’s why Big Bertha has 20% higher MOI for more forgiveness AND a wider range of Draw and Fade bias options. It all amounts to longer, straighter shots. And those are good things. Very, very good things if you like outdriving your foursome. Help other golfers by writing a review. Click here to write one now.